An award-winning film director is hoping to raise more than £100,000 to help the families of the cockle-pickers who drowned in Morecambe Bay in 2004. On the sixth anniversary of the disaster, in which 23 Chinese immigrants drowned, Nick Broomfield will walk from Liverpool to Morecambe. He will follow the same 60-mile route the doomed cockle-pickers took, before the high tide caught them unawares. "Their orphaned children and families are still paying their debts," he said. Mr Broomfield, known for films that include one on the tragedy, said he had been moved by the events since he first heard it on the radio when it happened on 4 February 2004. He said he remembered waking up and hearing about the tragedy and wondering how it happened and why they were there. "I, like most British people, have no idea that this kind of this is going on underground, it's not just the 23 who we are commemorating but also a situation that has grown up in this country that really needs to be addressed," he explained. "The families of the 23 back in China have to carry on paying enormous debts that helped to bring them here, they are still struggling to cope with the many children orphaned by this, paying for their care. "Some of them are being threatened by the gangs that loaned them in the first place." He said £140,000 had been raised so far and the money he wanted to raise on the walk on 6 and 7 February would go towards helping make sure "the next generation don't incur this terrible debt from their parents". 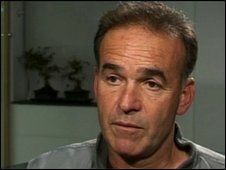 Nick Broomfield made the film Ghosts, based on Hsiao-Hung Pai's undercover reports about the life of undocumented workers, published in the Guardian newspaper, including those who died. Gangmaster Lin Liang Ren, who was based in Liverpool but originally from China, was found guilty of the manslaughter of 21 cockle pickers in March 2006. It is thought that bodies of two victims have not been found. 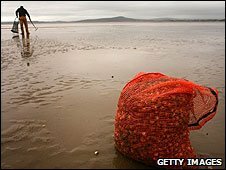 The Gangmasters Licensing Authority (GLA) was set up by the government after the Morecambe Bay tragedy.